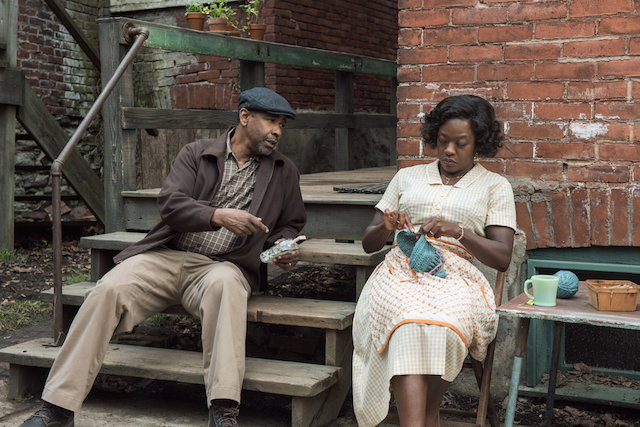 Denzel Washington directs the 1983 play by American playwright August Wilson, which releases in theaters December 25th. 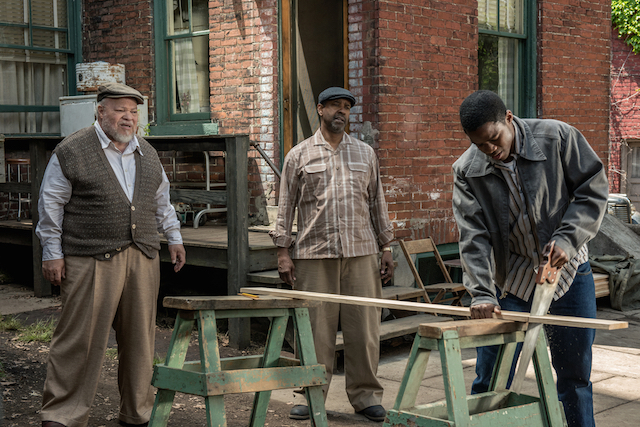 Unrelenting in its vision, this film adaptation of August Wilson’s Pulitzer Prize-winning stage play is an artistic tour de force. 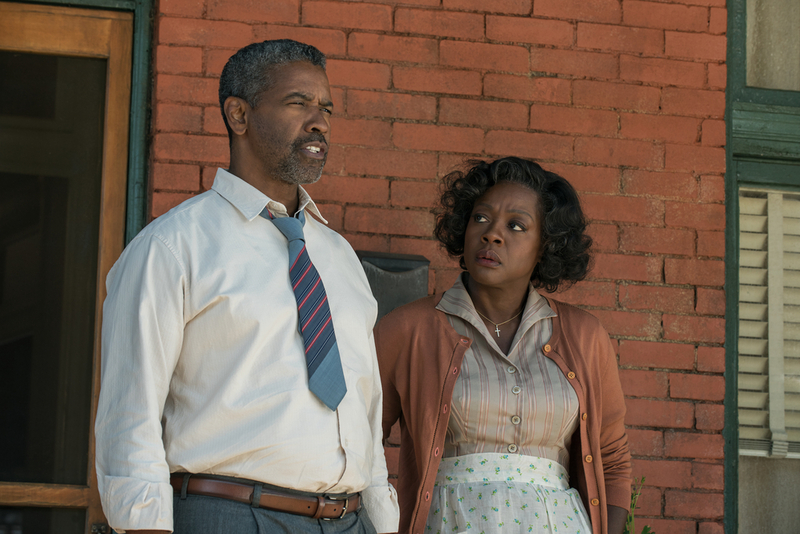 Produced and directed by Denzel Washington, who also stars as the main character, “Fences” is the story of a Pittsburgh family dealing with social and financial struggles in the late 50s. Dialogue driven, expressive and superbly acted, Washington as Troy Maxson, brilliantly reprises a role originated by James Earl Jones in the 1983 stage play and portrays an embittered patriarch trying to make a living in a world filled with racial prejudice. A former baseball player who was too old when the major leagues began admitting black players, he’s still bitter about a lost opportunity and is resentful of his role as a trash collector where he feels he’s been passed over for promotion. This is one those movies, that withstands to repeated viewing. You will feel loathing for Troy as he steadfastly refuses to let his son Cory (Jovan Adepo) follow his own dream of a football career, and sympathy as he expresses disappointment about his own past mistakes that resulted in a 15-year stint in prison, then anger as he reveals his extramarital affair to his loyal wife of 18 years. Starring Viola Davis as his devoted wife, Mykelti Williamson as his handicapped war-vet brother and Stephen McKinley Henderson as his buddy Jim Bono, actor Russell Hornsby rounds off the main cast as his prodigal son who only seems to pop by on his father’s payday. One of the most scathingly honest films released this year, Washington should be applauded for bringing this Broadway gem to the big screen. A story about shattered dreams, regret and familiar strife, it’s a portrait of a bitter patriarch, sprinkled in with basic familial conflict and struggles. Staged like a theater production, the movie’s prominent scenes are mostly set in Troy’s home although it’s not all completely in the backyard the way it was in the stage play. Heavy on dialogue (Troy doesn’t stop talking from the start of the movie for 45 minutes), Washington does a remarkable job of shifting emotional balances among the characters and one of the most poignant scenes is Davis’ Oscar-worthy performance when she is informed of Troy’s infidelity. “When people ask me what I expect people to take away, I always say that it depends on what they bring to it. I know they’ll be entertained and enlightened. 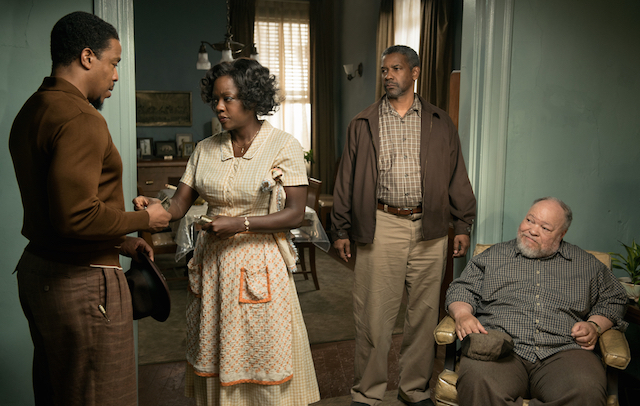 I know that they’ll see great performances, some great actors up there on screen,” says Washington who by directing this screen version posthumously honors August Wilson’s longstanding desire that an African American direct the screen version.